In this interview with Tony Armstrong, Marketing Director, Power Products at Analog Devices, Henning Wriedt got a chance to discuss ADI’s position in the current and future power electronics market. Henning Wriedt: Last year ADI took over the Linear Corp. Did that “create a high-performance analog leader” as the company claims? Even though it has only been a little over one year since the acquisition, it is our belief that we have created the high-performance analog leader. Wriedt: Regarding power electronics, your product portfolio covers a broad application range from battery management and energy harvesting to power control and μModule Regulators. In which segments do you see major activities right now and in which expect you major growth in the future? 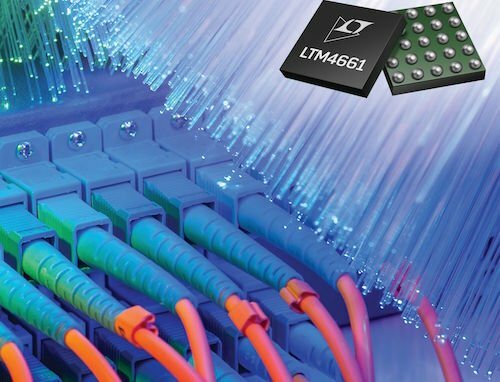 Armstrong: ADI’s Power by LinearTM (PbL) μModule (micromodule) products are complete system-in-a-package (SiP) solutions that minimize design time and solve the most common problems of board space, heat dissipation, and density issues. Our μModule products are complete power management solutions with integrated DC/DC controller, power transistors, input and output capacitors, compensation components, and inductor within a compact, surface-mount BGA or LGA package. Designing with Linear Technology micromodule products can significantly reduce the amount of time needed to complete the design process by up to 50% depending on the complexity of the design. The μModule regulator family transfers the design burden of component selection, optimization and layout from designer to device, shortening overall design time, system troubleshooting and ultimately improving time to market. At the same time, switch-mode power supply design expertise is declining around the world while time-to-market pressures are increasing. Having a “simple and done” solution has many benefits for manufacturers that need a finished power supply that is guaranteed to work right the first time. PbL’s μModule regulator solutions integrate key components commonly used in discrete power, signal chain, and isolated designs within a compact, IC-like form factor. Supported by our rigorous testing and high-reliability processes, our μModule product portfolio simplifies the design and layout of power conversion designs. The μModule family of products embraces a wide range of applications including point of load regulators, battery chargers, LED drivers, power system management (PMBus digitally-managed power supplies), isolated converters, battery chargers, and LED drivers. As highly integrated solutions with PCB Gerber files available for every device, μModule power products address time and space constraints while delivering a high-efficiency, reliable, and, with select products, a low EMI solution compliant with EN55022 class B standards. As design resources become stretched by increased system complexity and shortened design cycles the focus falls on the development of the key intellectual property of the system. This often means the power supply gets put to one side until late in the development cycle. With little time and perhaps limited specialist power design resource, there is pressure to come up with a high-efficiency solution with the smallest possible footprint. This is where the μModule regulator provides an ideal answer —the concept is complex on the inside, simple on the outside. The efficiency of a switching regulator and the design simplicity of a linear regulator. Careful design, PCB layout, and component selection are very important in the design of a switching regulator and many experienced designers have smelt the distinctive aroma of burning circuit board in the earlier days of their career. When time is short or power supply design experience is limited, the readymade μModule regulator saves time and reduces risk to the program. As a result of all the feature and benefits outlined herein, it is easy to see how the μModule regulators are one of our fastest growing product categories. Wriedt: Are there certain market segments and regions showing a high demand for power electronics? Armstrong: Right now, virtually all market segments and geographic regions are exhibiting a high demand for power electronics. Major driving factors include the LTE 4G infrastructure build-out, the electrification of the automobile and the insatiable demand for “data“ which drives the need for more data centers to be built with increased throughput capacity. By way of an example, let’s take vehicle electrification. The newly proposed automotive standard, LV148, combines a secondary 48V bus with the existing 12V system. The 48V rail includes an integrated starter generator (ISG) or belt start generator, a 48V Lithium-Ion battery and a bi-directional DC/DC converter for delivery of up to 10kW of available energy from the 48V and 12V batteries combined. This technology is targeted at conventional internal combustion automobiles, as well as hybrid electric and mild hybrid vehicles, as auto manufacturers strive to meet increasingly stringent CO2 emissions targets. For this new standard, the 12V bus will continue to power the ignition, lighting, infotainment, and audio systems. The 48V bus will supply active chassis systems, air conditioning compressors, adjustable suspensions, electric superchargers/turbos, and also support regenerative braking. The decision to use an additional 48V bus, which is expected to be available across production model ranges soon, can also support starting the engine, which would make stop-start operation smoother. Moreover, the higher voltage means smaller cable cross-sections are needed which reduces cable size and weight. Today’s high-end vehicles can have more than 4 kilometers of wiring. Vehicles will become more like PCs, creating the potential for a host of plug-and-play devices. On average, commuters spend 9 percent of their day in an automobile. Thus, introducing multimedia and telematics into vehicles can potentially increase productivity as well as providing additional entertainment. The future for the 48V battery system is very much near-term. According to some auto manufacturers, a 48V based electrical system results in a 10%-15% gain in fuel economy for internal combustion engine vehicles, thereby reducing CO2 emissions. Moreover, future vehicles that use a dual 48V/12V system will allow engineers to integrate electrical booster technology that operates independently of the engine load, thereby helping to improve acceleration performance. Already in its advanced development phase, the compressor is placed between the induction system and intercooler and uses 48V to spin-up the turbos. Wriedt: What is your position on new technologies such as SiC, GaN, IEGT, and wide bandgap? Will these technologies affect your power electronics products in the near future? Armstrong: It is clear SiC and GaN technologies have large future potentials for growth as these technologies develop and become more mainstream. We cannot go into the specifics of what we are doing in these product areas other than to say that we are closely watching how these technologies and their market growth potentials are developing. Should we see an area where we can bring strong product solutions, we will develop and design high-performance solutions for them. Wriedt: Your CEO Vincent T. Roche recently mentioned that “5G represents an enormous opportunity for ADI”. How do your power electronics products participate in that? Armstrong: 5G performance is hundreds of times faster than 4G. Theoretical download speeds reaching 10 Gbps. Dramatically increased reliability and greatly reduced latency. But the real story is the rise of 5G and how it will impact our lives. Imagine downloading a feature film, in 4K resolution, in seconds. Imagine virtual reality completely indistinguishable from actual reality. Moreover, imagine an always-on, always-connected world of 50 billion devices – all working to make your commute easier, your home smarter, your body healthier, your entertainment more immersive and our world safer. That is our 5G future. Perhaps the best part is, that future is closer than ever, with 5G being designed and tested right now. Together, National Instruments and Analog Devices are working to develop 5G with innovations that are ahead of what’s possible. National Instruments gives engineers and scientists the innovative tools they need today to create groundbreaking solutions that define tomorrow. NI’s design and test instruments, which enable the research and development of 5G, are another manifestation of this commitment. One example is National Instruments’ family of second-generation Vector Signal Transceivers (VST). The RF VST combines multiple instruments – including an RF signal generator, RF signal analyzer, and user-programmable FPGA – into a single 2-slot PXI module. Similarly, the baseband VST combines a baseband IQ signal generator, baseband IQ digitizer, and user-programmable FPGA into a 2-slot module. The unique design of both instruments allows engineers to lower the price of testing by accelerating measurements and lowering the cost of capital equipment. The performance and re-programmability enables engineers to develop test and characterization programs for multiple cellular standards (including 3G, 4G, LTE, and 5G, along with Wi-Fi and Bluetooth) with a single, integrated solution. And because the second-generation VST can rapidly adapt to each new standard through software, it can significantly accelerate 5G prototyping and test development. The resulting efficiencies and performance gains reduce test time and costs and allow for increased speed to market for the most advanced designs. Evidence of this success can already be found in universities and corporate efforts around the world, where National Instruments’ reprogrammable instrumentation is currently enabling 5G NR (New Radio) prototyping in massive MIMO, mmWave, channel sounding and waveform development. And as 5G continues to be developed, the second-generation VST’s performance and flexibility enable it to adapt to changing standards, making it an invaluable, future-proof tester for tomorrow’s demanding 5G challenges. There are over 100 Analog Devices components fueling the second-generation VST’s vast performance improvement and reduced form factor. But just as important as these 100 optimized solutions is the one deep partnership shared between Analog Devices and National Instruments. It is through this partnership that ADI and NI could discuss how the second-generation VST could work at the performance levels needed by the industry – with ADI providing parts customized to NI’s exact specifications. Together, NI and ADI tested and optimized part performance in an iterative fashion, giving NI the ideal solutions to integrate into the second-generation VST, and driving mutual insights into the performance needs of 5G. Wriedt: How are your opportunities in markets like renewable energy sources, power infrastructure, and battery-powered portable devices? Armstrong: PbL manufactures a comprehensive line of high-performance battery charger ICs for any rechargeable battery chemistry, including Lithium-Ion, lead acid, and Nickel-based for many types of battery-powered portable products. These battery charger ICs are offered in linear or switching topologies and are completely autonomous in operation, or can be utilized with a microcontroller. Charge currents from as little as 10mA, up to 4A are easily attained. 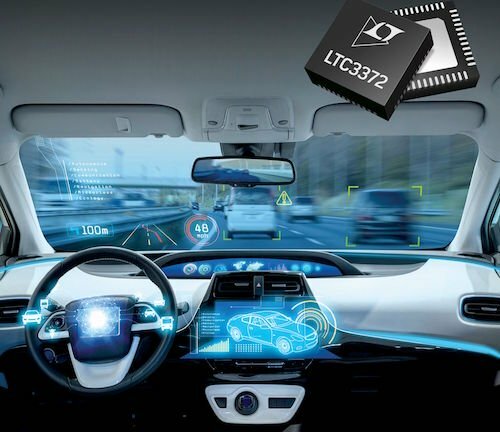 Other notable features include battery pre-conditioning, thermal regulation, NTC interface and dual smart battery systems management with SMBus or I2C interface. They make an excellent choice from the care and feeding of batteries used in automobiles should the main battery be disconnected and an Emergency call via a wireless system is necessary. Another key growth market of interest to us is in the field of green technology. Any products targeted toward energy conservation or energy harvesting will see growth opportunities and be insulated from the current market conditions. Energy costs and environmental concerns, as well as the need to extend battery life for mobile devices, has resulted in a focus on power optimization for a wide range of applications. Our energy-efficient products enable customers to convert power more efficiently, consume less power and extend battery life. Our LED drivers enable a new generation of low power lighting for a range of applications, from cars and medical instruments to laptops and office lighting. Our efficient analog solutions will play a role in driving innovative cleantech markets such as solar and wind power systems. Wriedt: What kind of “hand-holding” do you offer design engineers, who are looking for the best solutions in power electronics? What about Analog Devices Wiki? Armstrong: As our customers‘ design resources become stretched by increased system complexity and shortened design cycles, their focus falls on the development of the key intellectual property of the system. This often means the power supply gets put to one side until late in the development cycle. With little time and perhaps limited specialist power design resource, there is pressure to come up with a high-efficiency solution with the smallest possible footprint. 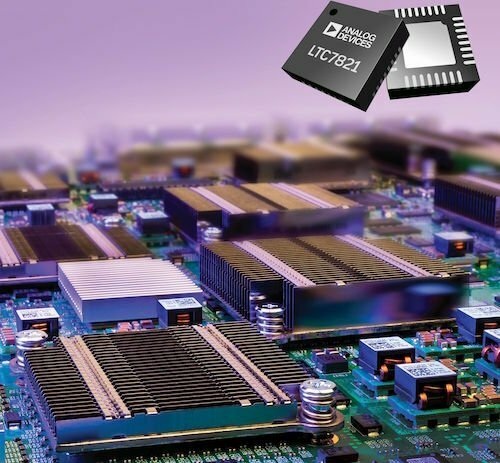 LTpowerPlay is a powerful development environment supporting the Power System Management (PSM) products of Analog Devices, including PMBus power system managers and DC-DC power converters with PSM. The software supports a variety of different tasks, including an offline mode (with no hardware present) in order to build a multichip configuration file that can be saved and reloaded at a later time. The LTpowerCAD design tool is a complete power supply design tool program that can significantly ease the tasks of power supply design and provides recommendations for component values and performance estimates specific to the user’s application with the μModule and monolithic DC/DC regulator products of Analog Devices. This guides the user through the entire design process reducing design effort and speeding up design time. ADIsimPE, which is powered by SIMetrix/SIMPLIS, is a circuit simulation suite optimized for the design and development of analog and mixed-signal circuits. SIMetrix mode is ideal for the simulation of general non-switching circuits. It provides full Pspice compatibility for use with industry-standard SPICE models. SIMPLIS (SIMulation Piecewise-Linear System) mode simulates the operation of switching circuits with vastly improved robustness, speed, and accuracy compared to standard SPICE. It is particularly useful for switching power supply, PLLs, and ADC/DAC applications. ADIsimPower Selector uses your specific application requirements and compares solutions from over 300 power management parts and over 10 different topologies. Each solution takes into consideration the IC, external components, and operating condition to be able to compare expected performance. Tony Armstrong is currently the Product Marketing Director for Analog Devices’ Power by Linear product group. He is responsible for all aspects of the power conversion and management products from their introduction through obsolescence. Prior to joining ADI, Tony held various positions in marketing, sales and operations at Linear Technology, Siliconix Inc., Semtech Corp., Fairchild Semiconductors and Intel. He attained a BS (Honors) in Applied Mathematics from the University of Manchester, England.